The saloon of the Provost House was refurbished as part of planned maintenance for conservation of the College buildings. Trinity spent approximately €300,000 on refurbishments to the Provost’s House over the summer months this year, The University Times has learned. The figure was obtained in a freedom of information request by The University Times, which also outlined the nature of the works. In an accompanying statement, Assistant Secretary to the College Victoria Butler, said that the construction was completed under budget and on time. Butler said that this was just “one project of a planned maintenance programme to ensure the conservation of the architecture and appropriate refurbishment of the buildings on our campus”. The renovations took place over the summer months and were concentrated in the saloon of the Provost’s House. Managed by Estates and Facilities in Trinity and the College Art Curator, Catherine Giltrap, the project formed part of a maintenance programme College has developed to conserve campus buildings. As part of the renovations, artworks in the Provost’s House were removed and stored, electrical systems were upgraded and unspecified professional services were enlisted. An investigation was also carried out into the walls and ceiling of the room, as well as a paint analysis and a chimney survey. Butler said that the saloon had not been renovated for over 30 years. Specialist conservationists were enlisted for the project to ensure that the appropriate work was undertaken. The Provost’s House dates back to 1759 and Butler noted that “it is the only one of Dublin’s great Georgian houses which still serves its original purpose”. The College is obliged to preserve the House under Dublin City Council’s Heritage Office because it is a protected building. The Provost’s House is often used to host formal events, such as commencement ceremonies for Honorary Degrees. Butler emphasised the importance of the Provost’s House as a venue for “key strategic events for the university”, noting that official visits from the government and visiting Heads of State are also frequently held there, as well as the swearing in of annual officers and inauguration ceremonies. All meetings of the College Board, University Council and the Executive Officers’ Group are also held in the building. Earlier this year, The University Times reported that over €18,000 had been spent on airline fares and accommodation abroad by the Provost over a period of eight months. It was also revealed that Prendergast claimed €38,145 in expenses since taking office in August 2011. Between July 2013 and June 2017, he spent €5,079 on taxis, with €10,862 spent on accommodation during the same period. In an email statement to The University Times in March, Prendergast said that “while the figure you quote may appear high, a university such as Trinity must spend money on travel to build links with other universities and research institutions worldwide”. Provost said his dealings with donors, industry partners and employers around the world are all of benefit to students and academics. “We will continue to engage with other universities and organizations in the years ahead, travelling to meet them abroad as well as inviting them to visit us in Dublin”, he added. 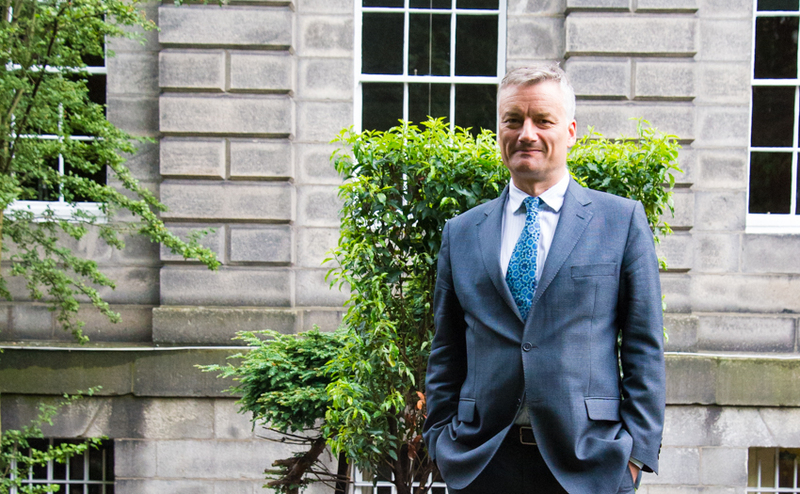 In 2017, Provost Patrick Prendergast moved into a city centre apartment, purchased for €1.95 million by College. The decision was taken due to the noise of the construction works at the time the Luas Cross City was being built. The move was criticised by students, some of whom were residents on campus and experienced disturbances during the works. Students on campus were offered little by way of a resolution in response to noise complaints. The refurbishment of Trinity’s campus has been an important concern of the College for some years now. In February 2017, a report submitted to the College Board and obtained by The University Times suggested that only one per cent of the properties owned by the Faculty of Arts, Humanities and Social Sciences were in good condition, before a €4 million refurbishment of the Arts Block. The Arts Block makes up 30 per cent of the total property belonging to the faculty. The report found that 82 per cent of the faculty’s property required “modernisation”, while only 10 per cent was described as “operationally safe”. The presentation referred to the consulting firm Turnberry Consulting, which was advising Trinity on the development of the College’s Estates Strategy. Turnberry Consulting, according to the report, had furnished the College with examples of other universities where “modest refurbishments of brutalist buildings” had improved teaching and break-out spaces.